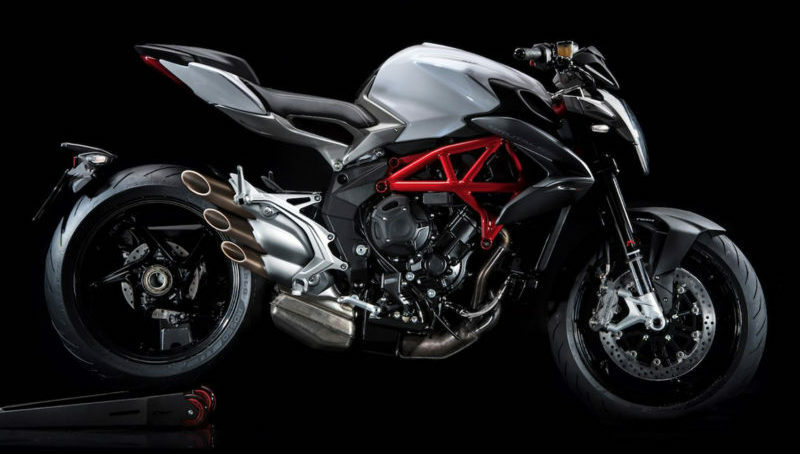 THE NEW 800 ENGINE BOOSTS THE POWER, TORQUE AND RIDING PLEASURE OF THIS NAKED MV AGUSTA EVEN FURTHER! NEW, ADJUSTABLE SUSPENSION AND AN ADVANCED ELECTRONICS PACKAGE MAKE THE BRUTALE 800 THE SEGMENT LEADER, WITH OUTSTANDING GRAPHICS AND DEDICATED COLOURS EMPHASIZING THOSE UNMISTAKABLE MV AGUSTA LINES. The three-cylinder Brutale offers excellent handling, agility, and rideability. Now, with a new engine providing a power and torque comparable to that of a 1000 cc unit, and with a weight of just 167 kg, the Brutale 800 offers an unmatched power-to-weight ratio. However, the Brutale 800 has more than just a new three-cylinder engine: a new adjustable suspension system lets riders personalise response according to the actual conditions. Riders can also count on an advanced electronics package unique to this category: the MVICS (Motor & Vehicle Integrated Control System) platform includes, first and foremost, multi-map Full Ride by Wire with integrated traction control. The result? Optimised delivery throughout the power range, maximum engine efficiency also in terms of fuel consumption and, of course, the ability to personalise engine performance by choosing one of the four available maps: three pre-set ones plus a map that can be customised by the rider. Traction control ensures safety and performance on any road or track surface, letting the rider focus… on the riding! The three-cylinder engine, first seen on the supersport F3 675, sets a new technological development standard for bikes in this class thanks to exclusive technical solutions such as the counter-rotating crankshaft, used in MotoGP but never before seen on a production bike. 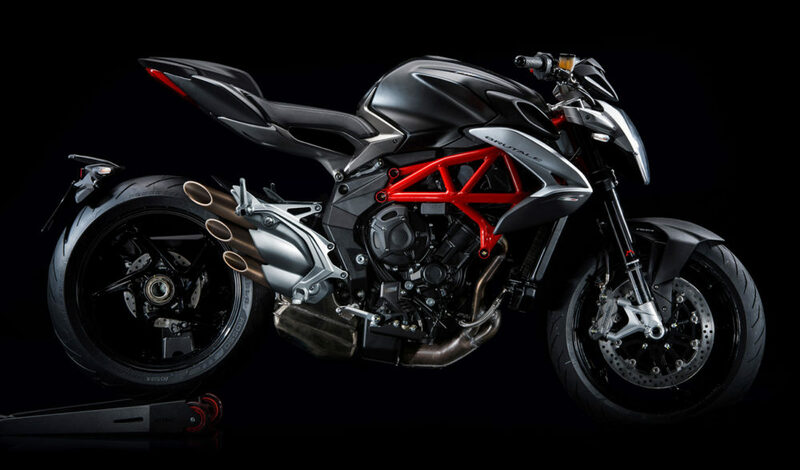 Outstanding frame performance is guaranteed by MV Agusta’s exclusive composite structure: a front section made of steel trellis tubing combined with two light aluminium alloy plates to which the sculpted single-sided rear swingarm is attached. 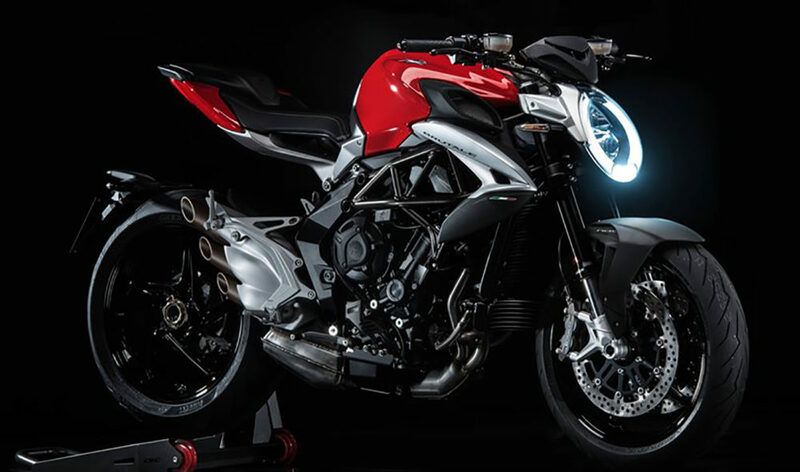 The Brutale 800, then, joins the Brutale 675 and, with its improved performance and even feistier character, offers an even sportier MV Agusta style that has been designed to satisfy even the most demanding motorcyclists. See our blog on the Brutale 800.